The KoolAir PM1000-230 Magnetic Drive Pump is most commonly used for marine air conditioning seawater circulation. 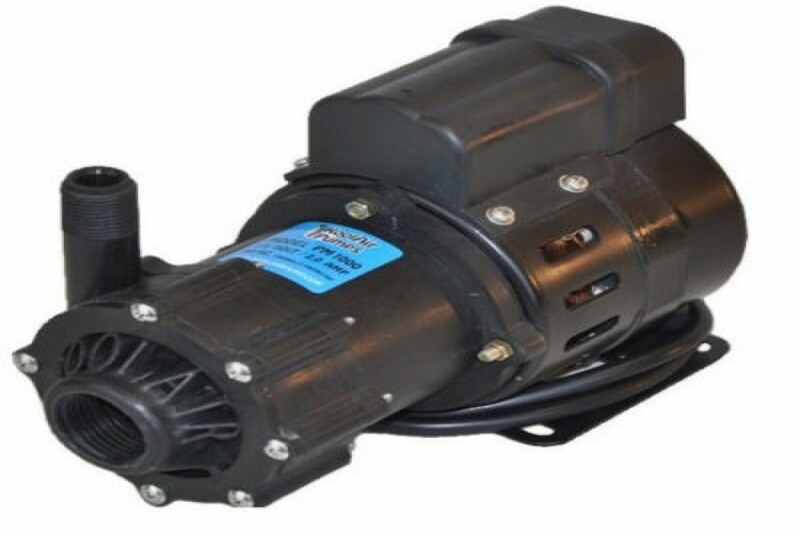 Replaces March AC-5C-MD Pump 230V,. 1" FPT Inlet, 1/2" Outlet, 60 Hz, 230V, 1 Phase, 1/8 Hp, 3450 RPM, 17.2 GPM Max Flow, 27 Feet Max Head, 50 PSI Max Internal Pressure.